Apologies for using the, uhh, overused phrase from the movie Almost Famous, but The Playoffs Are Starting! The Playoffs Are Starting! The Playoffs Are Starting! And now, apologies to Paul Revere. 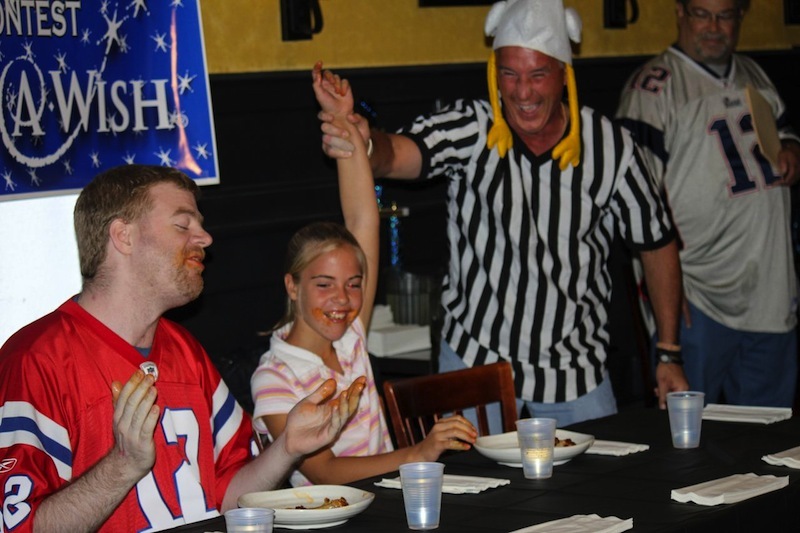 Thursday night at 7pm, the competition starts with 5 teams competing; eating the most wings possible in 8 minutes. Please come out and cheer on the teams, but even more importantly, support the CT Chapter of the Make-A-Wish Foundation. Admission is $10 and goes directly to the charity. But, a free beer is included with that admission price.